If you find real life mundane from time to time, invest in a Woman’s Weekly Fiction magazine subscription and enjoy getting lost in wonderful tales of fiction every fortnight. Complete with stories of every genre for every reader preference, Woman’s Weekly Fiction also features author interviews, a reader poetry page and a regular column on how to write your own work. Each issue runs almost 25 complete short stories between 1000 and 5000 words which are guaranteed to keep you engrossed. All subject areas are explored including romance, crime, thriller and mystery and comedy. Some are written by notable names, others by emerging authors – but all guarantee to leave you wanting more! In addition, you can find puzzles, reader competitions and a free bestselling book making it outstanding value. Discounts and offers are also plentiful and you can get the heads-up on where the best book shops are to be found, books due to be released and what’s coming out on top when it comes to reviews. 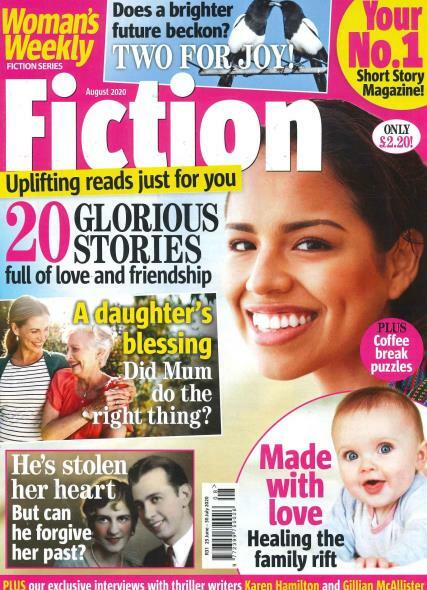 So lift your head out from the pages for long enough to order your Woman’s Weekly Fiction subscription today!